The Spector Legend5 AW BLK BD Alex Webster Signature Black with Blood Drip features a maple body and neck, a rosewood fingerboard and a black with blood drip finish. 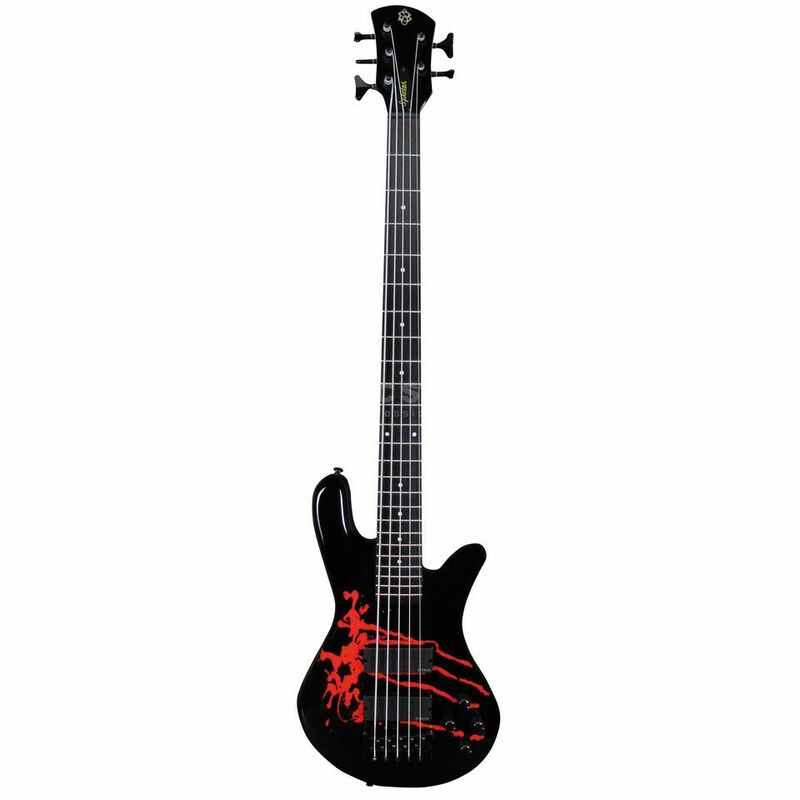 The Legend5 Alex Webster model is graphic edition of the famous Spector NS body crafted from solid maple and finish with Alex’s signature Blood Drip finish. The curved and carved body is comfortable to play and is connected to a three-piece maple neck, a rosewood fingerboard and professional die-cast hardware. The slender and smooth fingerboard is adorned with 24 frets and dot inlays. This guitar is powered by specially-designed SSD humbucker pickups that are complemented by the TonePump Jr. active tone controls that offer 12dB boost and cut as well as interactive treble and bass controls. String Spacing @ Bridge: 0.66"